81 new patented drug products for human use were reported to the PMPRB. 50 new patented drug products were within Guidelines. In total, 1177 patented drug products for human use were under the PMPRB's jurisdiction. The Board approved 17 Voluntary Compliance Undertakings (VCUs), three following the issuance of Notices of Hearing. The Board completed five price hearings (Concerta, Neulasta, Nicoderm, Quadracel and Pentacel, and Strattera) and issued two Notices of Hearing (Neulasta, on price, and Sandoz Canada Inc., on failure to file). Decisions are pending in three matters (ratiopharm Inc., on failure to file, and Penlac and ratio-Salbutamol HFA, on prices). As well, the Board issued a Supplementary Order in the matter of Adderall XR. Four proceedings are ongoing (Apotex Inc. and Sandoz Canada Inc., on failure to file, and Apo-Salvent CFC Free and Copaxone (redetermination), on price). Sales of patented drug products in Canada increased by 2.8% to $13.3 billion in 2009. The share of patented drug products as a percentage of total sales continued to decline, from 64.7% in 2008 to 62.4% in 2009. The primary drivers of sales growth between 2008 and 2009 were antineoplastics and immunomodulating agents (such as drugs used in chemotherapy). The prices of patented drug products sold by patentees, as measured by the Patented Medicines Price Index, rose by 0.3% from 2008 to 2009, while the Consumer Price Index also rose by 0.3%. Canadian prices were the third highest of the 7 comparator countries. Patentees reported total R&D expenditures of $1.2 billion, a decline of 2.9% over 2008. Rx&D members accounted for 89.1% of all reported R&D expenditures in 2009. The R&D-to-sales ratio declined slightly for all patentees from 8.1% in 2008 to 7.5% in 2009, while the R&D-to-sales ratio for members of Rx&D declined from 8.9% in 2008 to 8.2% in 2009. The ratios have been less than 10% for all patentees since 2001 and for members of Rx&D since 2003. I have the pleasure to present to you, in accordance with sections 89 and 100 of the Patent Act, the Annual Report of the Patented Medicine Prices Review Board for the year ended December 31, 2009.
to report on pharmaceutical trends of all medicines and on R&D spending by patentees. The Board consists of five members who serve on a part-time basis. Members, including a Chairperson and a Vice-Chairperson, are appointed by the Governor-in- Council. The Chairperson is designated under the Patent Act (Act) as the Chief Executive Officer of the PMPRB with the authority and responsibility to supervise and direct its work. In the event that the office of Chairperson is vacant, the Act provides that the Vice-Chairperson have all the powers and functions of Chairperson during the vacancy. The PMPRB operated with a budget of $11.9 million in 2009–2010 and an approved staff level of 76 full-time equivalent employees. The PMPRB is responsible for regulating the prices that patentees charge for prescription and non-prescription patented drug products sold in Canada to wholesalers, hospitals, pharmacies or others, for human and veterinary use, to ensure that they are not excessive. Although patentees are not required to obtain approval of the price beforehand, they are required under the Act to ensure that prices of patented drug products sold in Canada are not excessive. The Board's Guidelines detail how to determine whether a price is excessive. In 2009, 81 new patented drug products for human use were introduced. Some are one or more strengths of a new active substance and others are new presentations of existing medicines. Of the 81 new patented DINs, the prices of 54 had been reviewed as of March 31, 2010. Existing patented drug products include all patented drug products that were first sold and reported to the PMPRB prior to December 1, 2008. At the time of this report, there were 1,096 existing DINs, of which the prices of 1,003 (91.5%) were within the Guidelines and 86 were the subject of investigations. Claritin Allergy & Sinus Extra Strength, Schering-Plough Canada Inc.
Trinipatch, Novartis Pharmaceuticals Canada Inc.
Vepesid, Bristol-Myers Squibb Canada Inc.
Adenoscan, Astellas Pharma Canada Inc.
Levemir Penfill, Novo Nordisk Canada Inc. Decisions are pending in three matters: two on price (Penlac and ratio-Salbutamol HFA) and one on failure to file (ratiopharm Inc.). Four proceedings are ongoing: two on price (Apo-Salvent CFC Free and Copaxone for redetermination as ordered by the Federal Court) and two on failure to file (Apotex Inc. and Sandoz Canada Inc.). In addition to price reductions, approximately $100 million has been reimbursed through VCUs and Board Orders by way of payments to the Government of Canada and/or to customers such as hospitals and clinics since 1993. Following an extensive consultation process with stakeholders, which began in 2005, new excessive price guidelines came into effect on January 1, 2010. This thorough review was undertaken to ensure that the new guidelines remain relevant and appropriate in an evolving pharmaceutical environment. Over the past five years, more than 100 submissions were made in response to Board discussion papers, joint working groups were formed with industry and others, and dozens of meetings were held across the country. In March 2009, stakeholders were invited to comment on the Board's second draft revised Guidelines, and the final document, the Compendium of Policies, Guidelines and Procedures, was published on June 9, 2009. Board Staff held outreach sessions throughout the summer and fall of 2009 to assist patentees in better understanding the changes. Sales of patented drug products rose to $13.3 billion in 2009, an increase of 2.8% from $13.0 billion in 2008. The growth in sales, however, has undergone a pronounced decline in recent years. Throughout the latter part of the 1990s, sales growth was largely driven by a succession of new “blockbuster” products that achieved very high sales volumes – in 1999, annual sales growth was 27.0%. However, since that time the pharmaceutical industry has not introduced new high-volume products in sufficient numbers to sustain double-digit sales growth. Older drug products, introduced between 1995 and 1999, still accounted for nearly 35.9% of 2009 sales. The PMPRB uses the Patented Medicines Price Index (PMPI) to monitor trends in prices of patented drug products sold in Canada. The PMPI measures the average year-over-year change in the ex-factory prices using a formula that takes a salesweighted average of price changes observed at the level of individual products, similar to the approach used to calculate the Consumer Price Index (CPI). The PMPI is updated every six months using price and sales information submitted by patentees. As measured by the PMPI, prices of patented drug products rose, on average, by 0.3% between 2008 and 2009. The Act and Patented Medicines Regulations require patentees to report publicly available ex-factory prices of their patented drug products for seven foreign comparator countries: France, Germany, Italy, Sweden, Switzerland, the United Kingdom, and the United States. The PMPRB uses this information to conduct its international price comparison tests. In general, prices of individual patented drugs in Canada are lower than the median of international prices. In 2009, average prices were higher in Germany, much higher in the U.S., and lower in the other five countries. In 2009, prices in the United States rose by an average of 8 to 9%. Italy, Germany, Sweden, and the UK recorded much more modest average increases, while prices in France and Switzerland declined slightly. Spending on pharmaceutical R&D was $1.2 billion in 2009, a decline of 2.9% over 2008. Members of Canada's Research-Based Pharmaceutical Companies (Rx&D) reported R&D expenditures of $1.1 billion in 2009, a decrease of 3.3% over last year. When the Act was amended in 1987, Rx&D members made a public commitment to increase their annual research and development expenditures to 10% of sales revenues by 1996. However in recent years, R&D-to-sales ratios for all patentees and for Rx&D members have been declining. In 2009, the ratio for members of Rx&D was 8.2%, down from 8.9% in 2008, marking the seventh consecutive year it has been less than 10%. Patentees reported spending $237.1 million on basic research in 2009 (an increase of 18.4% over the previous year) and $685.3 million on applied research. Clinical trials accounted for 76.8% of applied research expenditures. Compared to the PMPRB's seven comparator countries, in 2007 Canada's R&D-to-sales ratio was second lowest at 8.3%, just ahead of Italy. Ratios in all other comparator countries were well above Canada's. Through the National Prescription Drug Utilization Information System (NPDUIS), the PMPRB works with its federal, provincial, and territorial government partners to provide critical analyses of price, utilization and cost trends. In 2009, NPDUIS worked closely with its partners to support drug plan policy decision-making. The PMPRB is committed to transparency, accessibility and stakeholder engagement. The PMPRB regularly informs its stakeholders on its activities through its publications, such as the Annual Report and its quarterly NEWSletter. 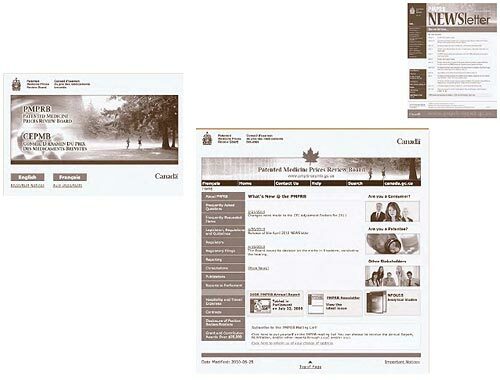 All PMPRB publications, including Board decisions in hearings and VCUs, are available on its Web site. The PMPRB marked an important chapter in its existence in 2009, and the beginning of a new one. I would like first to acknowledge the invaluable contribution of Dr. Brien Benoit, whose term as Member, Chair and CEO of the Board ended on May 18, 2010. Dr. Benoit joined the Board in 2005, at a time when several new issues and challenges were emerging. The Board had just issued a discussion paper on price increases for patented medicines and launched an in-depth review of its Guidelines. The main objective was to ensure that the Guidelines remained relevant and appropriate to the ever-evolving pharmaceutical environment. To ensure the broadest possible input, the Board embarked on an unprecedented level of consultation with all interested stakeholders, including the pharmaceutical industry, federal, provincial and territorial governments, consumer and patient advocacy groups, third party payers and others. Face-to-face consultations were held with stakeholders across the country, bilateral meetings were organized with all stakeholder groups, and multilateral working groups were established to examine specific issues. This consultation culminated with the release of new Guidelines in June 2009, which came into effect on January 1, 2010. We remain committed to ensuring that our mandate is carried out in an open, effective and efficient manner and in the context of good government and accountability. To that end, we will continue to engage stakeholders, which is critically important to reach decisions that are balanced and fair and that serve all Canadians effectively. Amid this in-depth review exercise, we pursued our regulatory and reporting activities, and responded to new compliance challenges. For the most part, matters before the Board focus on the scientific and pricing issues of patented brand name drug products. While these proceedings can be time sensitive, resource intensive, and require dedication and thoughtful deliberation, they also provide patentees with an opportunity to be heard on issues vital to their operations. In some cases, Board proceedings result in judicial reviews by the Federal Court, which provide both the Board and patentees with clarification on the intent of the law. In 2009, we pursued our partnership with the Canadian Institute on Health Information, Health Canada and the provinces through our collaboration on the National Prescription Drug Utilization Information System, refining our goals and providing indepth analysis and advice. Through this work, the Board helps fill information gaps and assists policy makers to better understand trends in drug prices and the factors influencing drug costs in Canada. I would like to thank the Staff for its commitment, enthusiasm and continuous support. In particular, I want to thank the retiring Executive Director, Barbara Ouellet, for her important contribution to this organization over the last five years. As well, I would like to thank my fellow Board members, and in particular Anthony Boardman who completed his second term in March, for their dedication and tireless work. The PMPRB is increasingly being challenged to respond to new demands, through the monitoring and evaluation of the Guidelines, acting in the public interest by holding public hearings into specific matters of potential excessive pricing, and a host of other activities. However, the commitment, dedication and expertise of Board members and staff help ensure our ability to effectively meet these challenges, to serve Canadians, and to contribute to the health care system. The Patented Medicine Prices Review Board (PMPRB) is an independent quasi-judicial body established by Parliament in 1987 under the Patent Act (Act). The Minister of Health is responsible for the pharmaceutical provisions of the Act as set out in sections 79 to 103. Although part of the Health Portfolio, the PMPRB carries out its mandate at arm's length from the Minister of Health.1 It also operates independently of other bodies such as Health Canada, which approves drugs for safety and efficacy and quality; federal, provincial and territorial public drug plans, which have responsibility for listing reimbursement decisions for their respective plans; and the Common Drug Review, which provides listing recommendations based on cost-effectiveness to participating public drug plans. The Federal Court of Appeal articulated the legal requirement as to when a patent will “pertain” to the medicine. In this regard, the Court established the “merest slender thread” requirement, which is wide in scope. The Board's jurisdiction is not limited to drug products for which the patent is on the active ingredient. Rather, the Board's jurisdiction covers drugs for which the patents relate to, but are not limited to, the processes of manufacture, the delivery system or dosage form, the indication/use and any formulations. Patented drugs are not limited to brand name products. A number of generic companies fall under the Board's jurisdiction by virtue of being licensees selling the same drug product as the brand company or because of manufacturing or processing patents, which various generic companies also hold. Under the Act, patentees are required to inform the PMPRB of their intention to sell a new patented drug product. Upon the sale of such a patented drug product, patentees are required to file price and sales information at introduction and, thereafter, twice a year for each strength of each dosage form of each patented drug product sold in Canada for price regulation purposes. Although patentees are not required to obtain approval of the price before a drug is sold, they are required to comply with the Act to ensure that prices of patented drug products sold in Canada are not excessive. In the event that the Board finds, after a public hearing, that a price is or was excessive in any market, it may order the patentee to reduce the price and take measures to offset any excess revenues it may have received. The PMPRB reports annually to Parliament, through the Minister of Health, on its activities, on pharmaceutical trends relating to all medicines, and on the R&D spending by patentees. In addition to these reporting responsibilities, under section 90 of the Act, the Minister of Health has the authority to direct the PMPRB to inquire into any other matter. In 2001, federal/provincial/territorial Ministers of Health announced the establishment of the National Prescription Drug Utilization Information System (NPDUIS), and the Minister of Health subsequently requested that the PMPRB conduct research and analysis in support of this initiative. In 2005, the Minister of Health, on behalf of federal/provincial/territorial Ministers of Health, directed the PMPRB to monitor and report on non-patented prescription drug prices. Since 2008, this work has been conducted under the umbrella of the NPDUIS initiative. 2 Throughout this report the term “patented drug product” means each strength of an individual, final dosage form of a medicine and denotes a product under the PMPRB's jurisdiction. The Board consists of not more than five members who serve on a part-time basis. Board Members, including a Chairperson and a Vice-Chairperson, are appointed by the Governor-in-Council. The Chairperson is designated under the Patent Act as the Chief Executive Officer of the PMPRB with the authority and responsibility to supervise and direct its work. Brien G. Benoit was first appointed as a Board Member of the PMPRB in May 2005, and in October of the same year he became Vice-Chairman, assuming the responsibilities of Chairman until his permanent appointment in June 2006. Dr. Benoit's term ended on May 18, 2010. A neurosurgeon, Dr. Benoit is on the Active Attending Staff of The Ottawa Hospital, and is a Professor of Neurosurgery at the University of Ottawa, where he is regularly involved in the training of neurosurgical residents. Throughout his career, he has held several administrative positions including Chief of Neurosurgery of the Ottawa Civic/The Ottawa Hospital (1980–2003), Chief of Surgery of the Ottawa Civic Hospital (2002–2003), Program Director for Neurosurgery at the University of Ottawa (1995–2003), Chair of Neurosurgery at the University of Ottawa (1997–2003) and Deputy Surgeon-in-Chief of The Ottawa Hospital – Civic Campus (2002–2004). Dr. Benoit has published extensively in leading academic journals and has participated in several multi-centre clinical trials. He was awarded Best Surgical Teacher from the Department of Surgery at the University of Ottawa in 1991 and 2000. Mary Catherine Lindberg was appointed Member and Vice-Chair of the Board in June 2006. On May 19, 2010, Ms. Lindberg assumed the powers and functions of the Chairperson while the office is vacant. From 2002 to 2009, Ms. Lindberg was Executive Director of the Ontario Council of Academic Hospitals, an organization of 25 Academic Hospitals that are fully affiliated with a university and its Faculty of Medicine. Previously, she was the Assistant Deputy Minister, Health Services, with the Ontario Ministry of Health and Long Term Care. Her responsibilities included the Ontario Health Insurance Plan (OHIP) and the Ontario Drug Programs. Mr. Armstrong practiced law from 1958 to 1974, first in the Civil Litigation Division of the federal Department of Justice, and subsequently in private practice in Toronto with Jolliffe, Lewis & Osler. He later became the senior partner of Armstrong & MacLean, specializing in administrative law litigation, presenting cases to administrative tribunals, the Ontario Courts, the Federal Court, and the Supreme Court of Canada. In 1974, he began his career as a senior Ontario public servant as Chair of the Ontario Labour Relations Board (1974–1976), Deputy Minister of Labour (1976–1986), Agent General for Ontario in Tokyo (1986–1990), and Deputy Minister of Industry, Trade and Technology (1991–1992). He was advisor to the Premier of Ontario on Economic Development from 1992 to 1995. Mr. Armstrong was counsel to the law firm McCarthy Tétrault from 1995 to 2002. In the 1990s he served as a member on the boards of directors of Algoma Steel, deHavilland Aircraft and Interlink Freight. He has been Chief Representative for Canada for the Japan Bank for International Cooperation since 1996 and also serves as arbitrator and mediator by consensual, provincial and federal government appointment in the field of labour relations. In his dispute resolution work, he was appointed facilitator/mediator by the Ontario Health Services Restructuring Commission from 1998–1999. Subsequently, in 2002–2003, he was designated by the Ontario government as mediator/arbitrator under the City of Toronto Labour Disputes Resolution Act. He is currently the Chair of the Radiation Safety Institute of Canada. His report to the Ontario government on trades and apprenticeship was the basis for new legislation in Ontario: The College of Trades and Apprenticeship Act. 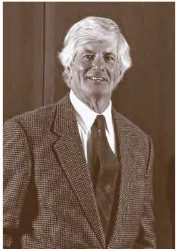 Anthony Boardman was appointed Member of the Board in January 1999 and was re-appointed in March 2005. His term ended March 10, 2010. Dr. Boardman is the Van Dusen Professor of Business Administration in the Strategy and Business Economics Division of the Sauder School of Business at the University of British Columbia (UBC). He graduated from the University of Kent at Canterbury (BA, 1970) and Carnegie-Mellon University (PhD, 1975). Prior to taking up his position at UBC, he was a professor at the Wharton School, University of Pennsylvania. He has published many articles in leading academic journals and recently received the J.E. Hodgetts Award for the best paper published in Canadian Public Administration in 2008 (with A.R. Vining). He also recently completed the fourth edition of Cost–Benefit Analysis: Concepts and Practice, and co-edited the International Handbook on Public–Private Partnerships, to be published later this year. Ms. La Forest is currently a law professor at the University of New Brunswick. Member of the New Brunswick Securities Commission since 2004, she was also the Chair of the Commission's Human Resources Committee until June 2008 and was appointed Lead Member of the Commission in July of 2008. After working in private practice with the firm of Fraser & Beatty in Toronto for several years, Ms. La Forest joined the Faculty of Law at Dalhousie University in 1991. In 1996, she was appointed Dean of the Faculty of Law of the University of New Brunswick, a position she held until 2004. A member of the bars of New Brunswick, Nova Scotia and Ontario, Ms. La Forest has extensive experience as an arbitrator and has acted as a consultant on matters relating to human rights, employment, property and extradition law. She has been a member of the Nova Scotia Human Rights Tribunal, a member of the Social Sciences and Humanities Research Council and Chair of the Fellowships Committee. She has also served as Arbitrator in the province of Nova Scotia as well as Commissioner of the province's Human Rights Commission. She is a Fellow of the Cambridge Commonwealth Society and is currently a member of the Board of Governors of the National Judicial Institute. Ms. La Forest has published many articles, books and case comments during her career and has been the chair or has served as a panellist at many national and international law conferences. Senior Staff consists of the Executive Director, the Director of Regulatory Affairs and Outreach, the Director of Policy and Economic Analysis, the Director of Corporate Services, the Director of Board Secretariat and Communications, and the General Counsel. The Executive Director is responsible for overall advice to the Board and for the leadership and management of the Staff. The Corporate Services Branch provides advice and services in relation to human resources management, facilities, health, safety and security, information technology and information management. It is also responsible for strategic and financial planning and reporting, audit and evaluation, and liaison with federal central agencies on these topics. The Board Secretariat and Communications develops and manages the PMPRB's communications, media relations and public enquiries; manages the Board's meeting and hearing processes, including the official record of proceedings; and coordinates activities pursuant to the Access to Information Act and the Privacy Act. The General Council advises the PMPRB on legal matters and leads the prosecution team in proceedings before the Board. Board Staff reviews pricing information for all patented drug products sold in Canada on an ongoing basis to ensure that the prices charged by patentees comply with the Guidelines established by the Board. The Guidelines are based on the price determination factors in Section 85 of the Act and have been developed by the Board in consultation with stakeholders including the provincial and territorial Ministers of Health, consumer groups, and the pharmaceutical industry. For the purposes of this section, the references to the Guidelines are to the pre-2010 Guidelines. The Patent Act (Act) and the Patented Medicines Regulations (Regulations) set out the filing requirements pertaining to price regulation for a patentee or former patentee of an invention pertaining to a patented medicine that falls under the jurisdiction of the PMPRB. Information on the reporting requirements is available in the Act, the Regulations, the Guidelines, and the Patentees' Guide to Reporting, all of which can be found on the PMPRB's Web site. In order to fulfill its regulatory mandate, the PMPRB relies upon the patentees' full and timely disclosure of any and all drug products being sold in Canada to which a patent pertains. Failure to report a drug product to which a patent pertains is an important issue because it delays the price review. In 2009, 23 new drug products were first reported to the PMPRB, although they were patented and sold prior to 2009. Table 2 lists the drug products that were patented and sold in Canada prior to being reported as being under the PMPRB's jurisdiction. The Board is pleased to report that there were no Board Orders issued for the 2009 reporting period. There were 81 new patented drug products, or DINs, for human use reported as sold in 2009. Some are one or more strengths of a new active substance and others are new presentations of existing medicines. For purposes of the PMPRB's price review, a new patented drug product in 2009 is defined as any patented drug product first sold in Canada, or previously sold but first patented, between December 1, 2008, and November 30, 2009. Figure 1 provides information on new patented drug products for human use from 1989 to 2009. Of the 81 new patented DINs, 16 (20%) were being sold in Canada prior to the issuance of a Canadian patent that brought them under the PMPRB's jurisdiction. These DINs are denoted by “FPG” (first patent granted) in Annex 2 on page 46. Table 3 identifies the number of patented drug products by the year in which they were first sold. The delay between date of first sale and date of patent grant for these products ranged from several months to several years; one was first sold prior to the creation of the PMPRB in 1987 (Miochol-E sold by Novartis Pharma Canada Inc. for cataract surgery). The list of New Patented Medicines Reported to the PMPRB is posted on the Web site every quarter. This list includes information on the status of the review (i.e., under review, within Guidelines, under investigation, VCU, Notice of Hearing). A new active substance (NAS) may involve more than one DIN if it is sold in more than one strength or dosage form. In 2009, there were 22 NASs marketed as 30 DINs. As shown in Figure 2 and Table 4, six of the 22 patented NASs that came under the PMPRB's jurisdiction were sold prior to 2009. Summary Reports of the price reviews of NASs are posted on the PMPRB Web site when the price review is completed and the price is within the Guidelines. Figure 3 provides a breakdown of the patented NASs for human use, by category assigned for price review purposes, over the nine-year period from 2001 through 2009 inclusive. the prices of 27 DINs are still under review. Table 5 provides an update of the review status of new patented drug products, at the DIN level, reported in previous years' Annual Reports. A summary of the status of the price review of the new and existing patented drug products for human use in 2009 is provided in Table 6.
a public hearing to determine whether the price was excessive, including any remedial Order determined by the Board (see page 15 for information on Hearings in 2009). Board Staff will only review the price of a patented over-the-counter drug product and a patented veterinary drug product when a complaint has been received. No complaints were received in 2009. The Common Drug Review (CDR) is a single process for reviewing new drugs and providing recommendations on formulary listing to participating publicly funded federal, provincial and territorial drug benefit plans in Canada. All jurisdictions participate except Québec. The CDR reviews new drugs and provides an evidence-based recommendation by the Canadian Expert Drug Advisory Committee (CEDAC) based on cost-effectiveness. The drug plans consider the CEDAC recommendation and their individual plan mandates, priorities and resources when making listing and coverage decisions. More information on CDR and CEDAC is available from the Canadian Agency for Drugs and Technologies in Health (CADTH) Web site (www.cadth.ca). Table 7 lists drugs reviewed by the CDR in 2009 and their status under the PMPRB Guidelines. The CDR reviews drug products once a Notice of Compliance has been issued by Health Canada. Drugs sold in Canada without a patent or before a patent has been issued do not fall under the PMPRB's jurisdiction. A Voluntary Compliance Undertaking (VCU) is a written undertaking by a patentee to comply with the Board's Guidelines including adjusting its price to a non-excessive level and offsetting excess revenues. Patentees are given an opportunity to submit a VCU when Board Staff concludes, following an investigation, that the price of a patented drug product sold in Canada appears to have exceeded the Guidelines. A VCU can also be submitted following the issuance of a Notice of Hearing but, at this point, must be approved by the Hearing Panel. On October 16, 2009, the Chairman of the Board accepted a VCU submitted by Schering-Plough Canada Inc. for the patented drug product Andriol 40 mg/capsule. Under the terms of the VCU, Schering-Plough, among other things, offset excess revenues received by making a payment to the government of Canada totaling $348,605.86 and provided a discount of 21.25% against the 2009 maximum non-excessive (MNE) price to all customers. Andriol (testosterone undecanoate) is indicated for the replacement therapy in males in conditions associated with symptoms of deficiency or absence of endogenous testosterone: for the management of congenital or acquired primary hypogonadism and hypogonadotropic hypogonadism; to develop and maintain secondary sexual characteristics in males with testosterone deficiency; to stimulate puberty in carefully selected males with clearly delayed puberty not secondary to a pathological disorder. Andriol is used as a replacement therapy in impotence or for male climacteric symptoms when the conditions are due to a measured or documented androgen deficiency. On October 5, 2009, the Chairman of the Board accepted a VCU submitted by Baxter Corporation for the patented drug product Brevibloc. Baxter offset excess revenues received by making payments totaling $212,440.76 to customers that previously purchased Brevibloc. Brevibloc (esmolol hydrochloride) is indicated for the perioperative management of tachycardia and hypertension in patients in whom there is a concern for compromised myocardial oxygen balance and who, in the judgment of the physician, are clearly at risk of developing hemodynamically-induced myocardial ischemia, and for the rapid control of ventricular rate in patients with atrial fibrillation or atrial flutter in acute situations when the use of a short-acting agent is desirable. On December 2, 2009, the Chairman approved a VCU submitted by Schering-Plough for the patented drug product Claritin Allergy & Sinus Extra Strength. Under the terms of the VCU, Schering-Plough offset cumulative excess revenues by making a payment to the Government of Canada in the amount of $69,950.43. Claritin Allergy & Sinus Extra Strength (10 mg loratadine / 240 mg pseudoephedrine sulphate) is indicated for the relief of symptoms associated with allergic rhinitis, including nasal and sinus congestion, sneezing, postnasal discharge and tearing and redness of the eyes. On April 24, 2009, the Hearing Panel approved a VCU submitted jointly by the parties, thereby concluding the proceedings commenced in this matter with the issuance of a Notice of Hearing on July 24, 2006. Under the terms of the VCU, among other things, Janssen-Ortho Inc. offset excess revenues in the amount of $1,464,441.58 by making a payment to the Government of Canada. On April 20, 2009, the Chairman approved a VCU submitted by sanofi-aventis for the patented drug product Eligard. In addition to reducing the price of Eligard in the majority of provinces based on 2009 MNE prices determined as of December 31, 2009, sanofiaventis offset the cumulative excess revenues received from January 2005 to December 2008 by making a payment to the Government of Canada in the amount of $13,127,953.14. Payments to offset excess revenues accrued during the 2009 period were made directly to hospitals, cancer clinics and cancer boards that purchased Eligard. Eligard (leuprolide acetate) is indicated for the palliative treatment of advanced prostate cancer. On October 21, 2009, The Hearing Panel approved a VCU submitted jointly by the parties, thereby concluding the proceedings initiated with the issuance of a Notice of Hearing on March 16, 2009. Under the terms of the VCU, Amgen reduced the price at which it sells Neulasta to the 2009 MNE; made a payment to the Government of Canada in the amount of $6,730,120.32 to offset any revenues above the maximum prices from the date of introduction of Neulasta to June 30, 2009; and offset revenues greater than the 2009 maximum price received by Amgen from July 1, 2009, to December 31, 2009, by making a second payment to the Government of Canada in the amount of $687,724.53. Neulasta is a new active substance (pegfilgrastim) indicated to decrease the incidence of infection, as manifested by febrile neutropenia, in patients with cancer receiving myelosuppressive chemotherapy. Strattera, Eli Lilly Canada Inc.
On February 19, 2009, the Hearing Panel approved a VCU for Strattera, thereby concluding the proceedings commenced in this matter with the issuance of a Notice of Hearing on December 15, 2006. Under the terms of the VCU, Eli Lilly offset excess revenues by making two payments to the Government of Canada in the amounts of $15,326,066.49 and $108,157.85, respectively. Strattera is indicated for the treatment of Attention Deficit Hyperactivity Disorder (ADHD) in children 6 years and over, adolescent and adults. On March 9, 2009, the Chairman approved a VCU from sanofi-aventis for the patented drug product Suprax 400 mg/tablet. Among other things, sanofi-aventis reduced the price of Suprax so that it did not exceed the 2009 MNE price and offset excess revenues received by making two payments to the Government of Canada in the amounts of $97,900.30 and $31,532.93, respectively. Suprax 400 mg/tablet (cefixime) is an antibiotic used in the treatment of infections caused by susceptible strains of designated micro-organisms. On November 18, 2009, the Chairman approved a VCU from Novartis for Trinipatch. Novartis offset excess revenues by making a payment to the Government of Canada in the amount of $47,099.61. Trinipatch® (nitroglycerin), a patented medicine sold in Canada from March 16, 2006, to January 13, 2009, was indicated for the prevention of anginal attacks in patients with stable angina pectoris associated with coronary artery disease. Vepesid, Bristol-Myers Squibb Canada Co.
On February 23, 2009, the Chairman approved a VCU submitted by Bristol-Myers Squibb for Vepesid. Among other things, Bristol-Myers Squibb offset excess revenues of $53,161.48 by making payments to customers who previously purchased Vepesid at excessive prices. Vepesid (etoposide) is used in combination with other established antineoplastic agents in the treatment of neoplastic diseases. On May 8, 2010, the Chairman approved the VCU submitted by Astellas Pharma Inc. for the medicine Adenoscan. Under the terms of the VCU, Astellas Pharma offset cumulative excess revenues from 1996 to August 4, 2009 (patent expiry date), in the amount of $34,545.32 by making a payment to the Government of Canada. Adenoscan (adenosine injection) is indicated as an adjunct to thallium 201 myocardial perfusion scintigraphy in patients unable to exercise adequately. On May 13, 2010, the Chairman approved the VCU submitted by Solvay Pharma Inc. for the medicine Dicetel. Under the terms of the VCU, Solvay Pharma offset cumulative excess revenues received from January 1, 2008 to December 31, 2009, by making a payment to the Government of Canada in the amount of $31,287.32. Solvay will make an additional payment to the Government of Canada for any excess revenues received from January 1, 2010 to the date of the acceptance of this VCU as calculated by Board Staff, or or before August 30, 2010. Dicetel is indicated for the treatment and relief of symptoms associated with irritable bowel syndrome (IBS), abdominal pain, bowel disturbances and intestinal discomfort; as well as the treatment of symptoms related to functional disorders of the biliary tract. On March 31, 2010, the Chairman approved the VCU submitted by Baxter Corporation for the patented medicine FSME-IMMUN. Under the terms of the VCU, Baxter reduced the price of FSME-IMMUN and offset cumulative excess revenues received from January 1, 2002, to December 31, 2009, in the amount of $53,578.62 by making a payment to the Government of Canada. FSME-IMMUN (tick-borne encephalitis vaccine – inactivated) is indicated for immunization against the TBE virus in individuals 16 years and older who are at risk of contact with ticks that carry TBE virus. On May 8, 2010, the Chairman approved the VCU submitted by Novo Nordisk Canada Inc. for the medicine Levemir. Under the terms of the VCU, Novo Nordisk Canada is to offset cumulative excess revenues received from January 3, 2006, to December 31, 2009, by making a payment to the Government of Canada in the amount of $6,035,903.54 on or before June 14, 2010. Novo Nordisk Canada also undertook to make an additional payment to the Government of Canada for excess revenues received from January 1 to March 31, 2010, based on its filing of price and sales data for the said period in the amount of the excess revenues as calculated by Board Staff. Levemir Penfill is indicated for the treatment of adult patients with type 1 or type 2 diabetes mellitus who require a long-acting (basal) insulin for the maintenance of normal glucose homeostasis. On March 31, 2010, the Chairman approved the VCU submitted by GlaxoSmithKline Inc. for the patented medicine Paxil CR. GlaxoSmithKline offset excess revenues received in the January 2004 to December 2005 reporting periods in the amount of $53,177.88 by making a payment to the Government of Canada. Paxil CR (paroxetine hydrochloride) is indicated as a selective serotonin reuptake inhibitor in a new dosage form: controlled release tablets for the symptomatic treatment of depression and panic disorder. On January 10, 2010, the Chairman approved a VCU submitted by Fresenius Kabi Canada for Voluven. Fresenius offset cumulative excess revenues in the amount of $1,448,002.25 by making a payment to the Government of Canada. Voluven is no longer under the PMPRB's jurisdiction, its patent having lapsed on August 7, 2008. Voluven (hydroxyethyl starch) is indicated for the treatment of hypovolemia when plasma volume is required. Under the terms of a VCU approved by the Chairman on January 11, 2010, Bayer reduced the price of Xarelto and offset excess revenues received by making two payments to the Government of Canada in the amounts of $49,978.33 and $193,292.96, respectively. Xarelto (rivaroxaban) is indicated for the prevention of venous thromboembolic events in patients who have undergone elective hip or total knee replacement surgery. Patentees are to ensure that the prices of their patented drug products remain within the Board's Guidelines in all periods in which they remain under the PMPRB's jurisdiction. In the event that the price of a patented medicine appears to be excessive, the Board can hold a public hearing, and if it finds that the price is excessive, it may issue an order to reduce the price and to offset revenues received as a result of the excessive price. Board decisions are subject to judicial review in the Federal Court of Canada. issued one Notice of Hearing – on failure to file in the matter of Sandoz Canada Inc. Decisions are pending in three matters: two on price – Penlac and ratio-Salbutamol HFA; and one on failure to file – ratiopharm Inc.
Four proceedings are ongoing: two on price – Apo-Salvent CFC Free and Copaxone for redetermination (as ordered by the Federal Court – see Matters before the Federal Court for more details); and two on failure to file – Apotex Inc. and Sandoz Canada Inc. Since 1993, the Board has approved a total of 66 VCUs and initiated 24 public hearings. These measures resulted in price reductions and offset of excess revenues by way of payments to the Government of Canada and/or to customers such as hospitals and clinics. Excess revenues offset by way of payments to the Government were in excess of $37 million in 2009 and nearly $6 million in 2010 to date. More details on excess revenues collected under VCUs and Board Orders are available in Annex 3 on page 49. The Hearing Panel issued its decision and reasons on February 25, 2008, and its Order on May 12, 2008. The Respondent filed an application for Judicial Review with the Federal Court. In its decision of November 12, 2009, the Federal Court set aside the Board's decisions and returned the matter to the Board for redetermination preferably by a different panel. sanofi-aventis filed an Application for Judicial Review of the Board's decision to have this matter proceed on the merits of the case. On September 24, 2009, the Federal Court dismissed the Judicial Review. The Board issued a Notice of Hearing in this matter on March 27, 2007. The Hearing Panel issued its decision and reasons on December 21, 2009, and an Order on March 16, 2010. sanofi pasteur filed an Application for Judicial Review of the Board's decision on January 19, 2010. At the time of publication of this report, a hearing date had not been announced. Following the Board's release of its August 18 Communiqué dealing with the issue of mandatory reporting of benefits, Rx&D et al. and Pfizer Canada Inc. commenced judicial reviews of the Board's Communiqué. The Federal Court released its decision on July 10, 2009, and concluded “that sections 4(1)(f)(i) and 4(4) of the Patented Medicines Regulations do not authorize the Board to require the reporting of rebates or payments made to third parties by the manufacturers of patented medicines.” The decision was not appealed. A Hearing Panel of the Board heard parties on its jurisdiction in the matter of the medicine Thalomid, as provided to Canadian patients under Health Canada's Special Access Programme. In its decision of January 21, 2008, the Board asserted its jurisdiction over the price of Thalomid. Celgene Corporation filed an application for Judicial Review, which was heard by the Federal Court on March 3, 2009. The Federal Court's decision of March 17, 2009, dismissing the Board's decision, was appealed by the Attorney General of Canada. In its decision of December 21, 2009, the Federal Court of Appeal upheld the Board's decision. On April 22, 2010, Celgene Corporation was granted leave to appeal to the Supreme Court of Canada in this matter. At the time of the publication of this report, the Supreme Court of Canada had not confirmed a hearing date. On January 1, 2010, the Board's new Compendium of Policies, Guidelines and Procedures (Guidelines) came into force. As per subsection 96(4) of the Patent Act, the Board has the authority to issue Guidelines on any matter within its jurisdiction, but they are not binding on the Board or any patentee in the context of a hearing. The Guidelines therefore provide direction to patentees and Board Staff as to how to establish and maintain non-excessive prices for patented drug products sold in Canada, as well as to outline the procedures normally undertaken when a price appears to be excessive. The publication of the Board's new Guidelines marked the culmination of a major review process that spanned nearly five years and involved extensive consultations with all interested stakeholders, including: industry (i.e., brand-name, biotech, generic); federal, provincial and territorial (F/P/T) governments; consumer and patient advocacy groups; third party payers; and others. In March 2005, the Board released its Discussion Paper on Price Increases for Patented Medicines. Feedback from stakeholders led the Board to conclude that further analysis and consultation were needed on a variety of issues, including the possible development of new categories of therapeutic improvement to acknowledge incremental innovation, the role of introductory prices as a cost driver, and price variations across markets in Canada. In addition, the constantly evolving nature of the pharmaceutical environment and the fact that the Guidelines had not been substantively reviewed since 1994 led the Board to conclude that a more comprehensive review was necessary to ensure the Guidelines remained relevant and appropriate. In May 2006, the PMPRB released the Discussion Paper for the Consultations on the Board's Excessive Price Guidelines. In addition to receiving 44 written submissions, in November 2006, the Board held a series of face-to-face consultations involving 145 stakeholders in Edmonton, Montreal, Toronto, Halifax, and Ottawa. In May 2007, the Board released a Stakeholder Communiqué outlining its preliminary decisions and directions on the issues under consultation to date. This was followed in September 2007 by a series of bilateral follow-up meetings with 73 participants drawn from industry, F/P/T governments and consumer groups. January 2008 saw the release of the Discussion Paper on Options for Possible Changes to the Patented Medicines Regulations, 1994 and the Excessive Price Guidelines, which focused on ongoing Guidelines consultations and new issues raised by the Federal Court of Canada in regard to its interpretation of the Patented Medicines Regulations. 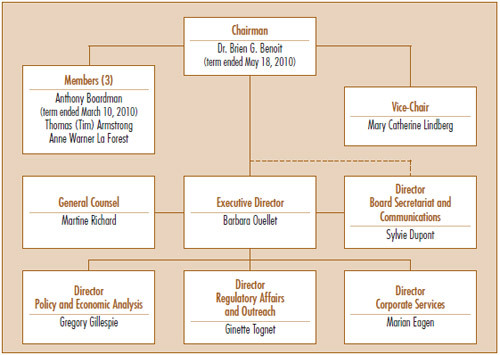 In early 2008, the Board also launched five multi-stakeholder working groups to address specific issues about the Guidelines, including: price regulation of patented generic drug products; levels of therapeutic improvement; the International Therapeutic Class Comparison (ITCC) test; the costs of “making” and “marketing”; and the PMPRB's price tests. Reports from each of these working groups were released throughout the spring and summer of 2008. The Board also held bilateral consultations with members of Canada's Research-Based Pharmaceutical Companies (Rx&D) and BIOTECanada. Building on the previous consultations and many of the recommendations of the working groups, the Board released the first Notice and Comment – Draft Revised Excessive Price Guidelines on August 20, 2008. Board Staff arranged a total of seven information sessions for all interested stakeholders, including the pharmaceutical industry (brand-name, biotech, generic), consumers, F/P/T government representatives, and third party payers. The PMPRB subsequently received a total of 42 written submissions and held further meetings with representatives of Rx&D, BIOTECanada, the Canadian Generic Pharmaceutical Association (CGPA) and the Ontario Public Drug Program to directly discuss their respective concerns. In the case of Rx&D, further bilateral Board-to- Board discussions were held. In March 2009, stakeholders were invited to provide feedback on the Board's second Notice and Comment – Draft Revised Excessive Price Guidelines. A total of 31 written submissions were received from stakeholders. Board Staff also arranged a total of six information sessions addressed specifically to the pharmaceutical industry (brand-name, biotech, generic), consumer groups, F/P/T governments, and third party payers to assist each sector in their understanding of revised proposals for amendments to the Guidelines. This extensive consultation helped inform the Board's decision-making when drafting the final Compendium of Policies, Guidelines and Procedures published on June 9, 2009. The release of the Compendium was accompanied by the publication of a document titled Results of the March 2009 Consultation and the Board's Revised Excessive Price Guidelines outlining the Board's position and rationale for the final changes. Following the publication of the new Guidelines, Board Staff held numerous outreach sessions in Toronto and Montreal to assist patentees in better understanding the changes and preparing for implementation. Levels of Therapeutic Improvement – The scientific review process for new patented drug products now uses four levels of therapeutic improvement (i.e., breakthrough, substantial, moderate, slight/no improvement), as opposed to the previous three categories (i.e., breakthrough/substantial, moderate/little/no, line extension). New secondary factors were also added that can be considered in the scientific review process to potentially move a product's level of therapeutic improvement from “slight/no” to “moderate.” These additions were designed to recognize the increasingly incremental nature of innovation in the pharmaceutical industry. Alignment of Price Tests – The price tests that were previously associated with the three categories used in the scientific review process were modified to align with the four new levels of therapeutic improvement. The key change is that a new patented drug product that is considered a moderate therapeutic improvement in the scientific review process is allowed additional price flexibility in the price review process, which is designed to acknowledge and reward incremental innovation important to patients. Highest International Price Comparison (HIPC) Test – The HIPC test is now conducted on a new patented drug product at introduction at the national level, for the pharmacy and hospital customer classes (but not the wholesaler class) and for each province/territory. For an existing patented drug product, the HIPC test is only conducted at the national level if the National Average Transaction Price triggers the investigation criteria. The exception for the wholesaler class of customer was added because the HIPC test was considered unworkable for patented generic drug products (given the nature of the generic drug market approach). In wanting to ensure a consistent and fair application of the HIPC test, the Board extended the exemption to all patentees. However, since the National Average Transaction Price must not exceed the highest international price, if a patented drug product is only sold to wholesalers, the exemption does not apply. International Therapeutic Class Comparison (ITCC) Test – The new Guidelines now include methodologies for conducting an ITCC test on which the previous Guidelines were silent. While the ITCC test is not considered pivotal, it may be used in an investigation to provide additional information. As well, in a public hearing, the Board is required to consider all the factors listed in section 85(1) of the Patent Act, so these methodologies provide useful direction for how the ITCC test is to be calculated. Two possible methodologies for the ITCC test are: the ratio approach and the straight class approach, both of which are undertaken using the same comparators as those used in the domestic Therapeutic Class Comparison (TCC) test. If the domestic TCC test includes generic drug products, the ITCC test will only use those generics sold by companies that also sell the same generic drug product in Canada. Selection of Prices for Comparison Purposes – A new methodology is outlined in the Guidelines for selecting the prices of drug products used for comparison. To determine the price of a comparator drug product in the price tests, the Guidelines now list six publicly available sources of price information to be used, from which Board Staff use the lowest public price for each comparator. The highest of these prices then determines the pivotal price for the TCC test. This modification was made to enhance transparency and increase predictability of the price review process for patentees. Any Market Price Review – Guidance was added regarding how any market price reviews are undertaken. For new patented drug products at introduction, the average price will be reviewed both nationally and for each sub-market (i.e., pharmacy, hospital, wholesaler, and each province/territory). Submarkets are reviewed for existing patented drug products only if the investigation criteria are triggered. This was added to the Guidelines because the Board's position is that some level of market-specific price review is part of its statutory mandate as set out in the Patent Act, and one of stakeholders' concerns during the consultation process was the possibility that some market prices may be excessive. Policy on Offset of Excess Revenues – A new policy explains how excess revenues generated by patentees may be appropriately offset. This policy was put forward, among other reasons, in order to align with section 83 of the Patent Act, which indicates that an actual price reduction (or payment to the Crown) is necessary to offset excess revenue. New Terminology – For new patented drug products, the term Introductory Maximum Non-Excessive (MNE) Price has been replaced by the term Maximum Average Potential Price or MAPP. For existing patented drug products, the term Maximum Non-Excessive (MNE) Price is now known as the Non-Excessive Average Price or NEAP. This change is to enhance clarity that the statute sets out that the Board's mandate relates to “average prices” in various markets. The Board's new Guidelines came into effect on January 1, 2010. Moving forward, the Board remains committed to providing predictability, fairness and transparency in fulfilling its regulatory responsibilities, and will be monitoring and evaluating the application and impact of key changes to the Guidelines to ensure that they remain relevant and appropriate. Table 9 on page 21 reports patentees' total sales of patented drug products in Canada for 1990 through 2009. Sales of patented drug products rose to $13.3 billion from $13.0 billion in 2009, an increase of 2.8%. By comparison, annual growth in sales of patented drug products stood at 27.0% in 1999 and remained in double-digits until 2003. The third column of Table 9 gives sales of patented drug products as a share of overall drug sales. This share rose from 43.2% in 1990 to 72.7% in 2003. However, the share of patented drug products in overall drug sales has declined since 2003, implying that sales of non-patented brand and generic drug products have grown faster than sales of patented drug products. 3 All statistical results for patented drug products reported in this chapter are based on data submitted by patentees as of April 2010. On occasion, patentees report revisions to previously submitted data or provide data not previously submitted. New data of this sort can appreciably affect the statistics in this chapter. To account for this possibility, the PMPRB has adopted the practice of reporting recalculated sales figures (page 20, Trends in Sales of Patented Drug Products), price and quantity indices (page 22, Price Trends; and page 31, Utilization of Patented Drug Products) and foreign-to- Canadian price ratios (page 27, Comparision of Canadian Prices to Foreign Prices) for the five years preceding the current Annual Report year. All such recalculated values reflect currently available data. Consequently, where data revisions have occurred, values reported here may differ from those presented in earlier Annual Reports. 4 Studies conducted by the PMPRB of public drug insurance plans indicate that increased utilization of existing and new drug products accounts for most of the recent growth in expenditures. See PMPRB, Pharmaceutical Trends Overview Report: 1997–1998 to 2003–2004, June 2006. The results in this table show that the increase in sales that occurred between 2008 and 2009 was principally the result of underlying increases in the quantities of existing and new patented drug products sold. The volume effect alone was large enough to more than compensate for a large (negative) exiting drug effect. Note that price increases among existing patented products accounted for only 5.2% of expenditure increase. The 2009 decomposition results are broadly consistent with the historical averages in Table 10. In particular, both the dominant volume effect and relatively small price effects observed in 2009 are typical. The pronounced decline in rates of sales growth over the last few years is a striking development. Throughout the latter part of the 1990s, sales growth was largely driven by a succession of new “blockbuster” products that ultimately achieved very high sales volumes. However, since the beginning of the 2000s, high-volume products have not been introduced in sufficient numbers to sustain the double-digit sales growth seen in the previous decade. Figure 4 breaks down 2009 sales of patented drug products according to the year in which the product was first sold in Canada. Sales are split almost evenly between drug products introduced up to 2000 and those introduced afterwards, with patented drug products introduced between 1995 and 1999 still accounting for 35.9% of sales in 2009. The PMPRB classifies drug products according to the World Health Organization's (WHO) Anatomical Therapeutic Chemical (ATC) system when it conducts analyses at the level of therapeutic class. This is a hierarchical system that classifies drug products according to their principal therapeutic use and chemical composition. At its most aggregate level (Level 1) the ATC system classifies drug products according to the element of human anatomy with which they are primarily associated. Table 11 breaks out sales of patented drug products in Canada in 2009 by major therapeutic class, defined by ATC Level 1. The table gives the 2009 sales for each class, the share of the total sales this represents and the rate at which sales grew relative to 2008. Values in the last column represent the component of overall sales growth attributable to drug products in the corresponding therapeutic class.7 By this measure, antineoplastics and immunomodulating agents were the primary driver of sales growth between 2008 and 2009, with this class alone accounting for additional sales nearly equal to the overall increase. 5 The denominator in this ratio comprises sales of patented and non-patented brand and generic drug products. Starting with the estimate for 2005, this value is derived from data contained in IMS Health's MIDAS database. In previous years IMS data were used to calculate sales of generic drug products only, while sales of non-patented brand products were estimated from data submitted by patentees. This approach was abandoned because of anomalies related to year-toyear changes in the set of companies reporting to the PMPRB as patentees. Ratios reported in Table 9 for years before 2005 likely overstate the patented share, but by only a small amount. This small bias in no way invalidates the strong upward trend evinced by the results for the years 1990 through 2004.
where py(i) is the price of drug “i” in year “y”, qy(i) is the physical volume of drug “i” sold in year “y” and Ó signifies summation over the set of drug products that were under the PMPRB's jurisdiction in both 2008 and 2009. The left-hand-side in this equation represents the change in total sales of such drug products between 2008 and 2009. The three terms of the right-hand-side respectively define the volume, price and cross effects reported in Table 10. 7 This is obtained as the ratio of the year-over-year change in the dollar value of sales for the therapeutic class in question to the change in sales across all patented drug products. * Values in this column may not add to 100.0 due to rounding. ** These groups have been combined for reasons of confidentiality. It is important to understand the conceptual relationship between the PMPI and drug costs. The PMPI does not measure changes in the utilization of patented drug products; a quantity index, the PMQI, is calculated for this purpose (see page 31, Utilization of Patented Drug Products). The PMPI does not measure the cost-impact of changes in prescribing patterns or the introduction of new medicines. By design, the PMPI isolates the component of sales growth attributable to changes in prices. Figure 5 provides year-over-year changes in the PMPI for the years 1988 through 2009. As measured by the PMPI, prices of patented drug products rose, on average, by 0.3% between 2008 and 2009. That the PMPI has seldom kept pace with the CPI is not surprising. The PMPRB's Guidelines allow the price of a patented drug product to rise by no more than the CPI over any three-year period. (The Guidelines also impose a cap on year-over-year price increases equal to one-and-one-half times the current year rate of CPI inflation.) This effectively establishes CPI inflation as an upper bound on the amount individual prices may rise over any period of three years or more.11 Increases in the PMPI normally do not reach this upper bound because some patentees do not raise their prices by the full amount permitted under the Guidelines, or choose to reduce their prices. Figure 7 presents average rates of price change by class of customer.13 These results were obtained by applying the PMPI methodology separately to sales data for hospitals, pharmacies and wholesalers.14 The 2009 rates of price change for these classes were, respectively -1.4%, 2.0% and 0.4%. Figure 8 presents average annual rates of price change by province/territory, obtained by applying the PMPI methodology to sales data segregated by the province/territory in which the sale occurred. These results indicate that, between 2008 and 2009, prices of patented drug products in Prince Edward Island, Quebec, Manitoba, the Northwest Territories and the Yukon fell on average. The largest average price increases occurred in Newfoundland and Labrador (1.7%), Alberta (1.2%), and New Brunswick (1.0%). Does the price of a typical patented drug product change much in the years after it enters the Canadian market? To answer this question, Figure 9 provides the average ratio of 2009 price to introductory price (the price at which the drug product was sold in its first year on the Canadian market). The figure provides a separate average ratio for drug products introduced in 1995, those introduced in 1996, and so forth. to compare the Canadian prices of patented drug products to those prevailing in other countries. The results in Figure 10 indicate that in 2009, the United States saw prices rise on average at a rate of 8–9%. Italy, Germany, Sweden and the UK saw much more modest average increases, while prices in France and Switzerland declined slightly. 8 For the most part, at the level defined by Health Canada's Drug Identification Number (DIN). Each DIN represents a unique combination of active ingredient(s), dosage form, strength(s), brand and manufacturer. 9 See the PMPRB's A description of the Laspeyres methodology used to construct the Patented Medicine Price Index (PMPI), June 2000, for a detailed explanation of the PMPI. Beginning in 1999, the PMPI is restricted to products intended for human use. 10 Statistics Canada, CANSIM, Series V735319. For 2009 as a whole, consumer prices rose by 0.3%, a significantly smaller increase than the 2.3% rise posted in 2008, and significantly less than the 2009 forecast rate of 2.0%. The actual CPI increase of 0.3% in 2009 was the smallest since the annual increase of 0.1% in 1994. 11 It is possible for individual prices (or, for that matter, the PMPI) to rise by more than the CPI in a given year. This can occur when patentees have “banked” price adjustments in the preceding two years. It can also occur when the forecast rate of CPI inflation exceeds the actual rate. To facilitate and encourage compliance by patentees, the PMPRB's CPI-Adjustment Methodology uses the forecast rate of CPI inflation published by the Department of Finance. Patentees must satisfy the PMPRB's price-adjustment rules based on calculations incorporating either the forecast or actual rate of CPI inflation for the year in question. This raises the possibility of price increases exceeding CPI inflation whenever forecast CPI inflation exceeds actual CPI inflation. Note that this will not be a permanent gain to the patentee, as the PMPRB's three-year price-adjustment rule will eventually bring cumulative price increase back into line with cumulative (actual) CPI inflation. where w(i) represents the share of therapeutic class i in the sales of patented drug products. This relationship provides the basis for the decomposition in the last column of Table 12. Each term on its right-hand-side multiplies the average rate of price change for a given therapeutic class by its share of overall sales. The resulting value is readily interpreted as the corresponding class' contribution to the change in the overall PMPI. Note that the size of this contribution depends on both the rate of price change specific to the class and its relative importance (measured by its share of sales). The decomposition in Table 12 is approximate. This is because the weights used to calculate the contribution of each therapeutic class are based on annual sales data, whereas rate of price change (whether overall or by therapeutic class) are calculated from data covering periods of six months. The resulting discrepancy is normally very small. 13 Sales of patented drug products are dominated by sales to wholesalers, which accounted for 80.4% of all sales in 2009. Sales to hospitals accounted for another 8.7%, while direct sales to pharmacies accounted for 3.7%. The pharmacy share has fallen precipitously since 2001, when it stood at 20.1%. 14 Results for a fourth class of customer, “Others”, are not provided. This class accounted for about 7.2% of patented drug sales in 2009. Buyers in this class are principally healthcare institutions other than hospitals, such as clinics and nursing homes. It also includes direct sales to governments. The composition of this class is thought to vary substantially from one year to the next, rendering any analysis of price change in this class of limited value. 15 It must be emphasized that this statement refers to the behaviour of prices on average. There are undoubtedly instances where individual prices have risen or fallen substantially since introduction. 16 The term “wholesale acquisition cost” (WAC) refers to the price paid by a wholesaler for a drug purchased from the wholesaler's supplier, usually the drug's manufacturer. A publicly disclosed WAC is typically a manufacturer's list price and, as such, may not reflect all discounts provided by the manufacturer. 17 The pharmaceutical industry in the U.S. has argued that the publicly available prices in that country do not reflect actual prices because of confidential discounts and rebates. Effective January 2000, and following public consultation, the PMPRB began including prices listed in the U.S. Federal Supply Schedule (FSS) in calculating the average U.S. price of patented drug products. The FSS prices are negotiated between manufacturers and the U.S. Department of Veterans' Affairs. They are typically less than other publicly available U.S. prices reported to the PMPRB by patentees. For example, Table 13 states that the 2009 average French-to-Canadian price ratio obtained using the arithmetic mean was 0.90. This means Canadians would have paid 10% less for the patented drug products they purchased in 2009 had they bought these products at French prices. Table 13 provides bilateral comparisons of prices in each of the PMPRB's seven comparator countries to corresponding Canadian prices. Focusing on the results with currency conversion at market exchange rates, it appears that, as in previous years, Canadian prices were roughly in the middle of the pack on average. Prices in Italy and France were, on average, appreciably lower than Canadian prices. As in previous years, U.S. prices were substantially higher than prices in Canada or any other comparator country. Average price ratios obtained with currency conversion at PPPs, provided at the bottom of Table 13, tell a somewhat more dramatic story. Once international differences in cost-of-living are accounted for, it appears that Canadians incurred a substantially greater consumption cost for the patented drug products they purchased in 2009 than did residents of every comparator country other than Germany and the United States. Figure 11 puts these results in historical perspective. In 1998, Canadian prices were, on average, higher than prices in France and Italy but below prices in the five other comparator countries. This pattern was largely unchanged as of 2003. In 2009, Canadian prices were, on average, decidedly above prices in Italy and France, much below prices in the United States, but within a margin of plus/minus 10% of prices in Germany, Sweden, Switzerland and the United Kingdom. Further analysis reveals the rise in average U.S.-to-Canadian price ratios was entirely the result of rising U.S. prices. Changes in sales-weights acted to somewhat moderate the impact of U.S. price increases. Changes in other factors had little impact on the average price ratios. Table 14 provides average foreign-to-Canadian price ratios using several multilateral measures of foreign prices. The median international price (MIP) is the median of prices observed among the seven comparator countries. Other multilateral price ratios compare the minimum, maximum and simple mean of foreign prices to their Canadian counterparts. Figure 12 puts this result in historical perspective. MIPs were on average 19% less than corresponding Canadian prices in 1987. By 1998, MIPs were on average 14% higher than Canadian prices. The average MIP-to-Canadian price ratio has remained within 3% of parity since 2006. Results obtained with other multilateral measures are much as one would expect. Interestingly, it appears that mean foreign prices typically produce higher foreign-to- Canadian price ratios than do MIPs. This is readily explained by the influence of U.S. prices, which are typically much higher than prices elsewhere. U.S. prices nearly always figure importantly in the calculation of the mean foreign price but almost never emerge as median international prices. As with the bilateral comparisons, differences between results obtained at market exchange rates and at PPPs are striking. These affirm that while Canada may be a “medium price” country in purely monetary terms, Canadians actually sacrifice appreciably more consumption to acquire patented drug products than do residents of most comparator countries. With currency conversion at PPPs, the average MIP-to-Canadian price ratio (calculated as a geometric mean) was 0.84 in 2009, substantially less than the value of 0.98 obtained at market exchange rates. Figure 13 offers more detail on the product-level MIP-to-Canadian ratios underlying the averages reported in Table 14. This figure distributes the 2009 sales of each patented drug product according to the value of its MIP-to-Canadian price ratio (more exactly, according to the range into which the ratio fell).21 These results show substantial dispersion in product-level price ratios: while patented drug products with MIP-to-Canadian price ratios between 0.90 and 1.10 accounted for 35.8% of sales, those with ratios less than 0.90 accounted for 34.1% of sales, and products with ratios exceeding 1.10 accounted for 30.1%. 18 The number of drug products and sales encompassed vary among comparator countries because it is not always possible to find a matching foreign price for every patented drug product sold in Canada. It is worth noting in this regard that all of the average price ratios reported in Tables 13 and 14 cover at least 81% of 2009 Canadian sales. The reported U.S.-to-Canada price ratios cover about 95% of 2009 sales. 19 Let RG represent the average price ratio obtained using the geometric method, RA the average price ratio obtained using the arithmetic method. Let p(i) represent the Canadian price of drug i, pf(i) its foreign price (converted to Canadian dollars) and w(i) its share of Canadian sales. Then RG = Ð [pf(i)/p(i)]w(i) (where Ð signifies multiplication over all patented drug products), while RA = Ó w(i)[pf(i)/p(i)] (where Ó signifies summation over all patented drug products). 20 The difference between these two statistics, however, is that while the geometric mean provides an approximate answer, the arithmetic mean provides an exact answer. Consequently, as of 2010, the PMPRB will be using only the arithmetic mean. 21 To produce the results in this figure, foreign prices were converted to their Canadian-dollar equivalents using market exchange rates. The price and sales data used to calculate the PMPI also allow the PMPRB to examine trends in the quantities of patented drug products sold in Canada. The PMPRB maintains the Patented Medicine Quantity Index (PMQI) for this purpose.22 Figure 14 provides average rates of utilization growth, as measured by the PMQI, from 1988 through 2009. These results confirm that growth in the utilization of patented drug products has been the primary source of rising sales, with rates of utilization growth roughly tracking sales growth in recent years. This pattern continued in 2009, with utilization of patented drug products growing by 3.5%. Note that a rate of utilization growth somewhat greater than overall sales growth is exactly what one would expect, considering the substantial (negative) “exiting drug” and minimal price effects reported in Table 10 on page 21. Table 15 provides average rates of utilization growth among patented drug products at the level of major therapeutic classes. The results in this table were obtained by applying the PMQI methodology to data segregated by ATC Level I class. As in Table 12 (see page 25), the last column provides an approximate decomposition of overall PMQI change into contributions attributable to each therapeutic class. In 2009, levels of utilization rose in all but two therapeutic classes, with the class Alimentary Tract and Metabolism seeing a substantial decline in utilization. A single class, Antineoplastics and Immunomodulating Agents, accounted for most of the growth in overall utilization. Drug products related to the Cardiovascular System and the Respiratory System also contributed appreciably to utilization growth, but their influence was much reduced in comparison with earlier years of this decade. 22 Like the PMPI, the PMQI is calculated using a chained Laspeyres index formula, with ratios of physical quantities in successive periods replacing the price ratios of the PMPI. Here again, the index is obtained as a revenue-weighted average of ratios at the level of individual products. Since the PMQI covers only patented drug products it should not be taken to represent utilization trends in the entire pharmaceutical market. IMS Health23 regularly reports on drug sales across a large number of countries. Based on sales data from this source, Figure 15 provides shares of global sales for Canada and each of the seven comparator countries the PMPRB considers in conducting its price reviews.24 In 2009, the Canadian market accounted for 2.5% of the global market, a share only slightly smaller than that of the United Kingdom. Figure 16 provides Canada's share of global sales for each of the years 2005 through 2009. This share has remained between 2.4% and 2.6% throughout this period. Figure 17 gives the average annual rate of growth in total drug sales for Canada and the seven comparator countries, individually and together. From 2005 to 2009 the sales growth in Canada increased at an annual average rate of approximately 6.9%. Drug sales among the seven comparator countries rose at an annual average rate of 4.7% over the same period. Figure 18 compares rates of year-over-year growth in drug sales in Canada and the comparator countries taken together. Sales growth in Canada has exceeded growth in the comparators throughout this period. The proportion of national income allocated to the purchase of drug products provides another way to compare drug costs across countries.25 Figure 19 gives drug expenditures as a share of Gross Domestic Product (GDP) for Canada and the seven comparator countries based on data for 2007. Drug expenditures absorbed between 1.1% and 1.9% of GDP in the seven comparators. Canada lies near the upper end of this range. The share of national income absorbed by drug expenditures has risen in most developed countries in recent years. Table 16 shows that drug expenditures grew faster than GDP between 2000 and 2007 in Canada and all of the comparator countries except France and Italy. The results for the U.S. are especially striking, where drug expenditures grew at twice the rate of national income. Canadian drug expenditures grew at approximately one-and-half times the rate of GDP over this period. Table 17 gives the composition of patentees' sales by therapeutic class for Canada and the seven comparator countries, individually and as an aggregate.26 With the exception of cardiovascular drug products (which account for a substantially larger part of overall sales in Canada than anywhere else), these results imply a remarkable degree of similarity across countries. 23 In previous Annual Reports, results presented in this section were largely based on data from IMS Health's Retail Drug Monitor, which provided estimates of direct (i.e., from the manufacturing company) and indirect (i.e., through a wholesaler) drug purchases by pharmacies in 13 major markets (Argentina, Australia, Brazil, Canada, France, Germany, Italy, Japan, Mexico, New Zealand, Spain, the U.K. and the U.S.). Beginning this year, results in this section are based on sales data from IMS Health's MIDAS database. These data cover both the pharmacy and hospital sectors, as well as a substantially larger set of countries than data from the Retail Drug Monitor. 24 The results given in Figures 15 through 18 are based on sales estimates encompassing patented and non-patented brand and generic drug products from IMS Health's MIDAS database. These estimates represent sales converted from own-currencies to Canadian dollar equivalents at market exchange rates. Fluctuations in these rates can substantially influence these shares, in addition to utilization and price trends. 25 Comparisons made on this basis will reflect international differences in prices, overall utilization and patterns of therapeutic choice, as well as differences in national income. 26 Note that data used to produce Table 17 encompass patented, non-patented brand and generic drug products. Hence, the results reported here for Canada are not directly comparable to those in Table 11 (see page 23), which encompass only patented drug products. The Act mandates the PMPRB to monitor and report on pharmaceutical research and development (R&D) spending (while giving the PMPRB no regulatory authority to consider the amount or type of patentees' research spending in the context of its price regulation). This chapter provides key statistics on the current state of pharmaceutical research investment in Canada. The Act requires each patentee to report its total gross revenue from sales of all drugs for human or veterinary use (including revenue from sales of non-patented drug products and from licensing agreements) and R&D expenditures in Canada related to medicines (both patented and non-patented for human or veterinary use). The results presented below were entirely derived from data that patentees have submitted to the PMPRB via Form 3 (Revenues and Research and Development Expenditures Provided Pursuant to subsection 88(1) of the Patent Act ). Companies without sales of patented medicines need not report on their R&D activity. For this reason, as new patents are granted and others expire, the set of companies required to file R&D data may change from year to year. In 2009, a total of 81 companies selling human and veterinary drug products reported on their R&D expenditures. Of these, 33 were members of Canada's Research-Based Pharmaceutical Companies (Rx&D). It is a patentee's responsibility to ensure complete information is filed within the time frame set out in the Regulations. Although, in most cases, patentees ultimately comply with the filing requirements, an issue exists if patentees fail to file complete information within the time frames specified in the Regulations. There were no Board Orders issued for the 2009 reporting period for a failure to file Form 3 information on revenues and R&D expenditures. For reporting purposes, sales revenue is defined as total gross revenue from sales in Canada of drug products and from licensing agreements (e.g., royalties and license fees related to sales in Canada by licensees). Patentees reported total 2009 sales revenues (Table 18) of $17.1 billion, an increase of 4.5% from 2008. Sales revenue reported by Rx&D members was $13.8 billion, accounting for 80.7% of the total. Less than 1% of reported sales revenue was generated by licensing agreements. Pursuant to section 6 of the Regulations, patentees are required to report R&D expenditures that would have qualified for an Investment Tax Credit for scientific research and experimental development under the provisions of the Income Tax Act in effect on December 1, 1987. By this definition, R&D expenditures may include current expenditures, capital equipment costs and allowable depreciation expenses. Market research, sales promotions, quality control or routine testing of materials, devices or products and routine data collection are not eligible for an Investment Tax Credit, and therefore, are not to be included in patentees' filings. Table 18 provides total R&D expenditures reported by patentees over the period 1988 through 2009. R&D expenditures were $1.2 billion in 2009, a decline of 2.9% over 2008. Rx&D members reported R&D expenditures of $1.1 billion in 2009, a decrease of 3.3% over last year. Rx&D members accounted for 89.1% of all reported R&D expenditures. Patentees that were not members of Rx&D reported R&D expenditures of $138.6 million in 2009, an increase of 0.1% over last year. The ratio of R&D expenditures to sales revenue among all patentees was 7.5% in 2009, down from 8.1% in 2008. This is the lowest ratio since 1989, and also represents the ninth consecutive year it has been below 10%. The ratio for members of Rx&D was 8.2%, down from 8.9% in 2008.28 This is the lowest ratio since 1990, and also represents the seventh consecutive year it has been below 10%. Overall, the R&D-to-sales ratios for all patentees and for Rx&D members have been on a downward trend since the mid 1990s. Table 24 in Annex 4 provides details on the range of R&D-to-sales ratios. Of the 81 companies reporting in 2009, 63 had R&D-to-sales ratios below 10% in 2009. These companies accounted for 71% of total sales revenue in 2009. Table 19 and Figure 21 (as well as Figure 24 in Annex 4) provide information on the allocation of 2009 current R&D expenditure29 among basic and applied research and other qualifying R&D.30 Patentees reported spending $237.1 million on basic research in 2009, representing 19.4% of current R&D expenditures and an increase of 18.4% over the previous year. Patentees reported spending $685.3 million on applied research, representing 56.2% of current R&D expenditures. Clinical trials accounted for 76.8% of applied research expenditures. Patentees reported expenditures on research they conduct themselves (intramural) and research performed by other establishments, such as universities, hospitals and other manufacturers (extramural). Table 20 shows that, in 2009, 51.6% of current expenditures were intramural, up from 49.2% in 2008. Research performed by other companies on behalf of patentees was 19.9% of current expenditures, while research conducted in universities and hospitals accounted for 15.4%. Table 21 provides information on the sources of funds used by patentees to finance their R&D activity. Internal company funds remained by far the single largest source of funding in 2009, accounting for 89.6% of current R&D expenditures. Funds received from government amounted to only 2.6% of current expenditures. Table 22 (as well as Table 25 in Annex 4) show current R&D expenditures by region. As in previous years, expenditures were heavily concentrated in Ontario and Quebec, with these provinces accounting for 87.4% of total expenditures. While R&D expenditures increased at a year-over-year rate of 19.7% in Western Canada, they declined in Ontario by 4.6% and in Quebec by 6.5%. Figure 22 compares Canadian R&D-to-sales ratios to those in the PMPRB's seven comparator countries for the years 2000 and 2007.31 As noted in Figure 22, Canada's ratio stood at 10.1% in 2000. Only Italy, at 6.2%, had a lower ratio in that year, while Switzerland had the highest ratio at 102.5%. A similar pattern emerges in the investment-to-sales ratios for 2007. Italy remained at the bottom of the range at 7.1%, with Canada second lowest at 8.3%. Ratios in all other comparator countries remained well above Canada's ratio. The ratio obtained by aggregating R&D spending and sales across all comparators countries was 20.9%, two and a half times the value obtained for Canada. 27 As published in the Regulatory Impact Assessment Statement (RIAS) of the Patented Medicines Regulations, 1988, published in the Canada Gazette, Part II, Vol. 122, No. 20 – SOR/DORS/88-474. 28 The R&D-to-sales ratios presented in Table 18 include research expenditures funded by government grants. If the government-funded component is excluded, the ratios for all patentees and for the members of Rx&D in 2009 are 7.3% and 8.0%, respectively. 29 Current R&D expenditures consist of non-capital expenses directly related to research, including (a) wages and salaries; (b) direct material; (c) contractors and sub-contractors; (d) other direct costs such as factory overhead; (e) payments to designated institutions; (f) payments to granting councils; and (g) payments to other organizations. These elements are described in more detail in Form 3, Revenues and Research and Development Expenditures available from the PMPRB Web site under the heading Regulatory Filings. Current R&D expenditure accounted for 96% of total R&D expenditure in 2009, while capital equipment costs and allowable depreciation expenses made up 2.2% and 1.8%, respectively. 30 “Basic research” is defined here as work that advances scientific knowledge without a specific application in mind. “Applied research” is directed toward a specific practical application, comprising research intended to improve manufacturing processes, pre-clinical trials and clinical trials. “Other qualifying research” includes drug regulation submissions, bioavailability studies and Phase IV clinical trials. 31 Sales in Figure 22 represent domestic sales and do not include exports. The Canadian Institute for Health Information (CIHI) is responsible for the first element, while the PMPRB (as requested by the Minister of Health under section 90 of the Patent Act) is principally responsible for the second element. The NPDUIS Steering Committee, composed of representatives from public drug plans in British Columbia, Alberta, Saskatchewan, Manitoba, Ontario, New Brunswick, Nova Scotia, Prince Edward Island, Newfoundland and Labrador, Yukon, and Health Canada, advises the PMPRB on its research agenda and on individual studies. In 2009, the NPDUIS Steering Committee held quarterly teleconference calls and met twice in Ottawa. During 2009, the PMPRB advanced work underway on projects examining professional fee expenditures, the prices of generic drug products and the impact of generic entry on drug utilization. Following a priority-setting discussion at the May meeting of the NDPUIS Steering Committee, work also began to examine potential savings associated with some top-selling drugs expected to go off-patent, wholesale up-charge policies and the use of diabetes test strips. As part of the ongoing efforts to communicate the results of NPDUIS research and engage researchers outside of government, the PMPRB also facilitated a joint meeting between the NPDUIS Steering Committee and the Pharmaceutical Policy Research Collaboration (PPRC), a network of academic researchers examining pharmaceutical issues through grants provided by the Canadian Institutes of Health Research. The meeting provided policy makers and researchers with an excellent opportunity to share perspectives, exchange information, and identify common priorities for future policy research. The Communications Program is primarily responsible for planning and managing the PMPRB's external communications activities, as well as raising the organization's visibility. It focuses on adapting to the changing requirements of the PMPRB's operating environment. The main responsibilities of developing and managing the external communications activities also include relations with the media and reporting on the Board's quasi-judicial proceedings. Advance Ruling Certificate (ARC): A non-binding advance ruling certificate may be issued pursuant to subsection 98(4) of the Patent Act at the request of a patentee when the Board is satisfied that the price or proposed price of the medicine would not exceed the maximum average potential price under the Board's Guidelines. Drug Identification Number (DIN): A registration number (drug identification number) that the Health Products and Food Branch of Health Canada assigns to each prescription and nonprescription drug product marketed under the Food and Drugs Regulations. The DIN is assigned using information in the following areas: manufacturer of the product; active ingredient(s); strength of active ingredient(s); pharmaceutical dosage form; brand/trade name; and route of administration. Research and Development— Applied Research: R&D directed toward a specific practical application, comprising research intended to improve manufacturing processes, pre-clinical trials and clinical trials. Research and Development— Basic Research: R&D defined as work that advances scientific knowledge without a specific application in mind. Research and Development— Other Qualifying: Includes eligible research and development expenditures that cannot be classified into any of the preceding categories of “type of research and development”. It includes drug regulation submissions, bioavailability studies and Phase IV clinical trials. Current Research and Development Expenditures: Consist of the following non-capital expenses that are directly related to research work: (a) wages and salaries, (b) direct material, (c) contractors and subcontractors, (d) other direct costs such as factory overhead, (e) payments to designated institutions, (f) payments to granting councils, and (g) payments to other organizations. These elements are described in greater detail in the Patentees' Guide to Reporting – Form 3, available from the PMPRB Web site under Regulatory Filings. Voluntary Compliance Undertaking (VCU): A written undertaking by a patentee to adjust its price to comply to the Board's Guidelines. The Chairman may approve a VCU in lieu of issuing a Notice of Hearing if it is in the public interest. A VCU can also be submitted following the issuance of a Notice of Hearing. A VCU submitted at this point must be approved by the Board Hearing Panel struck to hear the matter. The Board reports publicly on all VCUs approved by the Chairman or the Board. For more information on the Criteria for Commencing an Investigation, please consult the Compendium of Policies, Guidelines and Procedures, available on the PMPRB's Web site under Legislation, Regulations and Guidelines. A total of $63.8M in excess revenues collected through VCUs and Board Orders (following Hearings) was paid to the Government of Canada in 2006 to 2010. The PMPRB was given the authority to collect excess revenue when the Patent Act was amended in 1993 and the power to issue Compulsory Licenses was removed. 1 As per VCU approved in previous year. 1. Revenue from royalties is included in calculating each company¡¯s ratio, but not included in calculating industry-wide ratios (to avoid doublecounting of sales revenue). Federal and provincial government grants are subtracted from the R&D expenditure in calculating individual R&D-to-sales ratios, but are included in calculating industry-wide ratios. Differences between the list of firms filing data on prices and those filing R&D data are due to differences in reporting practices of patentees and their affiliates or licensees. Also, some veterinary patentees (i.e., those without revenue from sales of products for human use) are required to file information on R&D expenditure but not price and sales information. 6. Not a patentee in 2008. 7. Les Laboratories Inc. is the patent owner; however, BLES Biochemicals is the licensee as well as manufacturer. 10. Formerly known as Aventis Pasteur Ltd.
12. Division of Paladin Labs Inc.